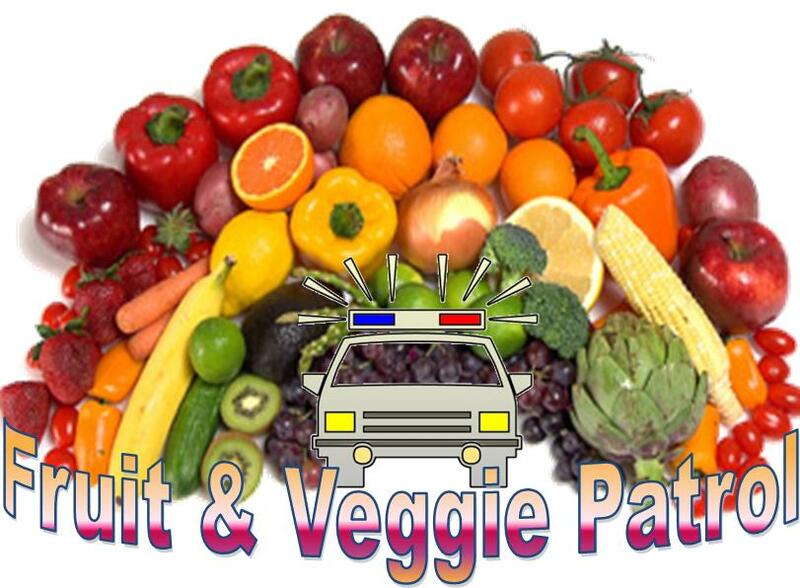 One day each month—the Fruit and Veggie Patrol will stop by Wilcox and Bissell’s lunch to catch our students eating their fruits and vegetables. If caught, they receive a fun prize! What counts as a fruit or veggie? Whether you pack a lunch or buy one, any fruit or vegetable counts! Fresh fruit, dried fruit, canned fruit, 100% Fruit Juice, salad, veggies on the side, veggies in a sandwich, veggies in a pasta, soup, casserole, or other item. Goal of the Program: To promote and encourage fruit and vegetable consumption among students. Why Fruits and Veggies? The program is a fun way to get students excited about eating healthy in an effort to help meet the 2010 Dietary Guidelines developed by the USDA which calls for a decreased consumption of refined grains, excess sugars, and fats, and an increased fruit and vegetable intake.